The other week I posted about my gluten free finds of the week and you guys seemed to love it – so I’m going to do my best to try and make it a regular thing! I can’t guarantee every week will be as filled with exciting new products, but there will always be things that are new to me. 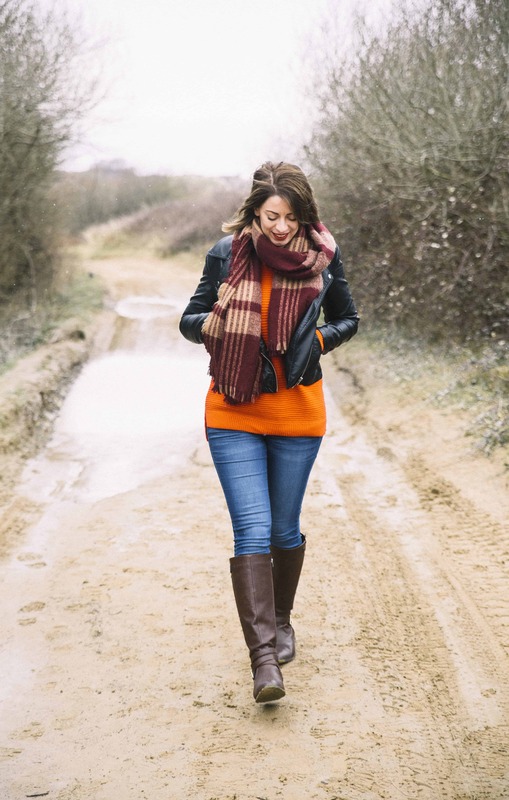 I’ll be sharing a selection of my best new gluten free discoveries, and I might throw in some of my favourites too. 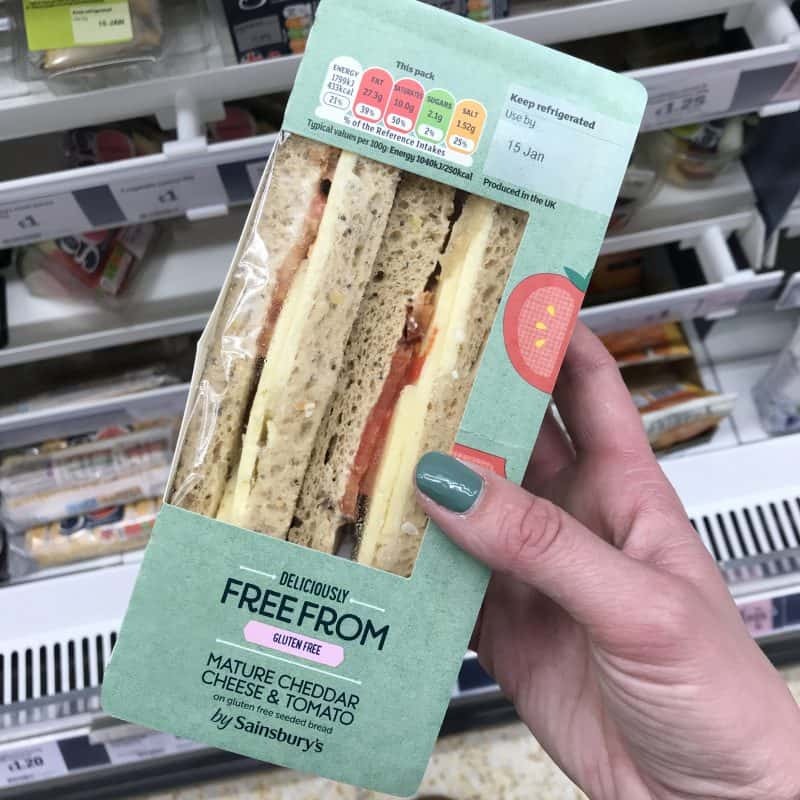 I think these gluten free cheese and tomato sandwiches in Sainsbury’s are new – I certainly haven’t seen them in my store before. I picked one of them up for a quick lunch when I was decorating at the weekend and was really impressed. The bread is quite a nice texture and it was just nice to have something simple and easy for lunch. 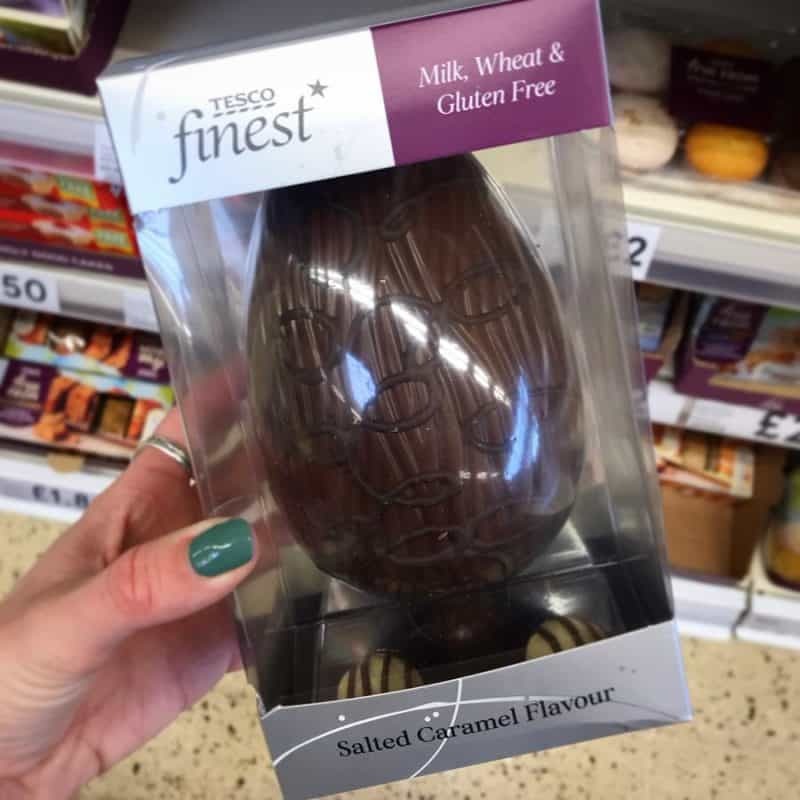 Ok, a lot of Easter eggs are gluten free anyway, but these gluten and dairy free salted caramel ones looked delicious! I love the fact they’re in ‘posh’ packaging and not the usual free from branding, as it makes them look a bit extra special. Bargain alert! 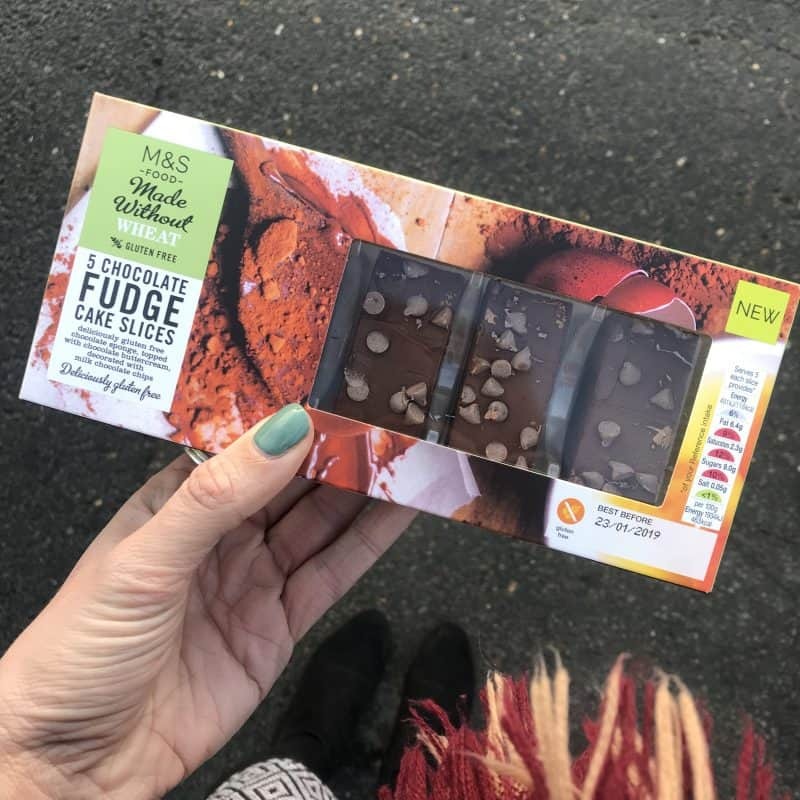 These new chocolate fudge cake slices are new in M&S and only £1.50 a pack! They taste lovely – so much better than a chocolate brownie so totally excusable – and a nice little treat. Be warned though, one is definitely not enough. 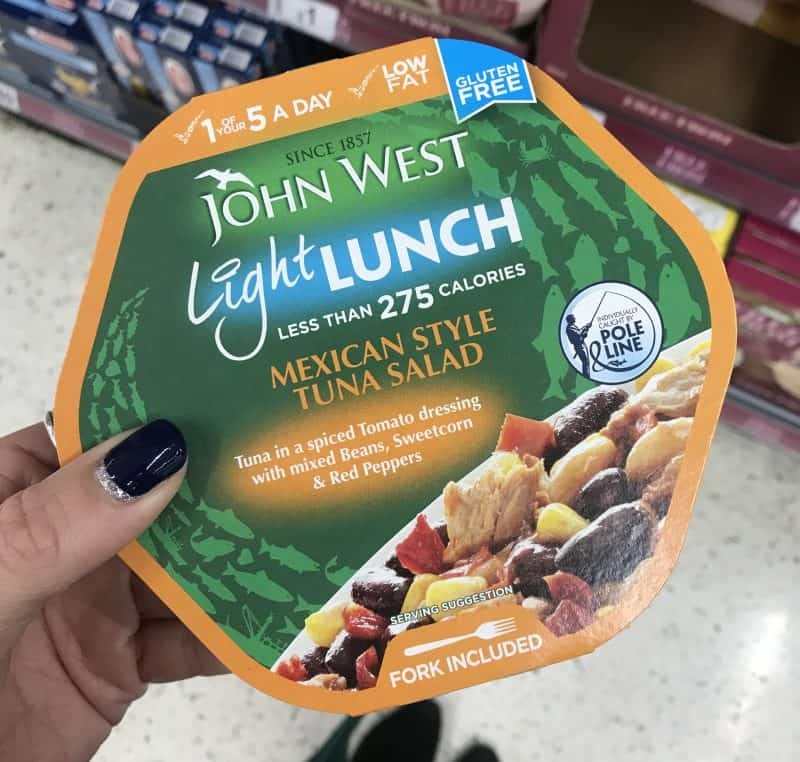 I found this Mexican-style tuna lunch in the free from aisle in Asda and was intrigued. It’s certainly a bit of a different lunch option, I haven’t tried it yet though. Nice to have a variation from microwaved gluten free pasta or a gluten free sandwich! 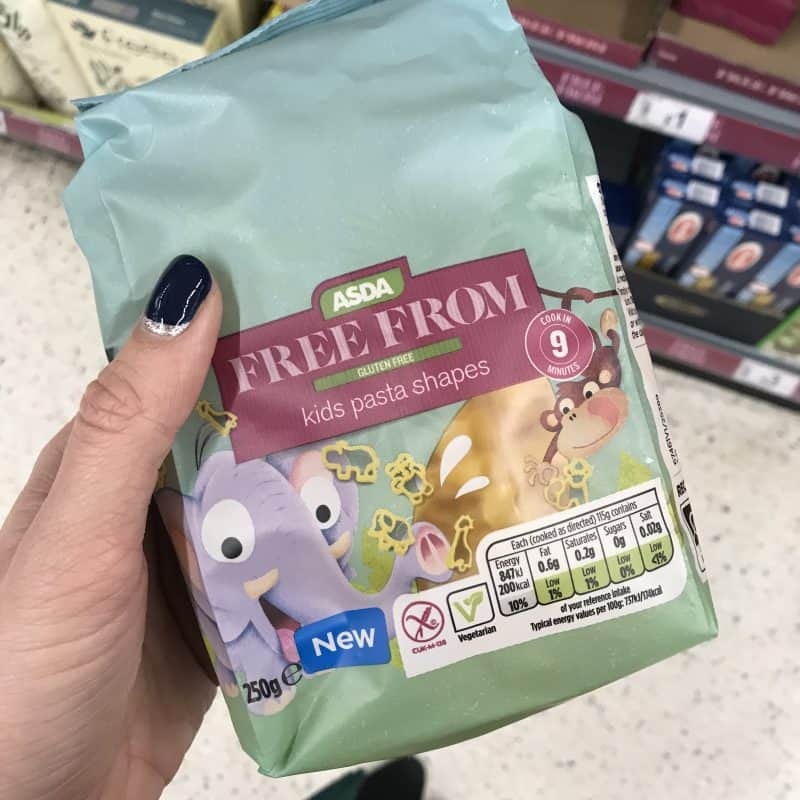 These may be marketed as kids’ pasta but I tell you now, there is NOTHING wrong with wanting to eat pasta in the shape of animals as a nearly-30-year-old adult. Just saying. 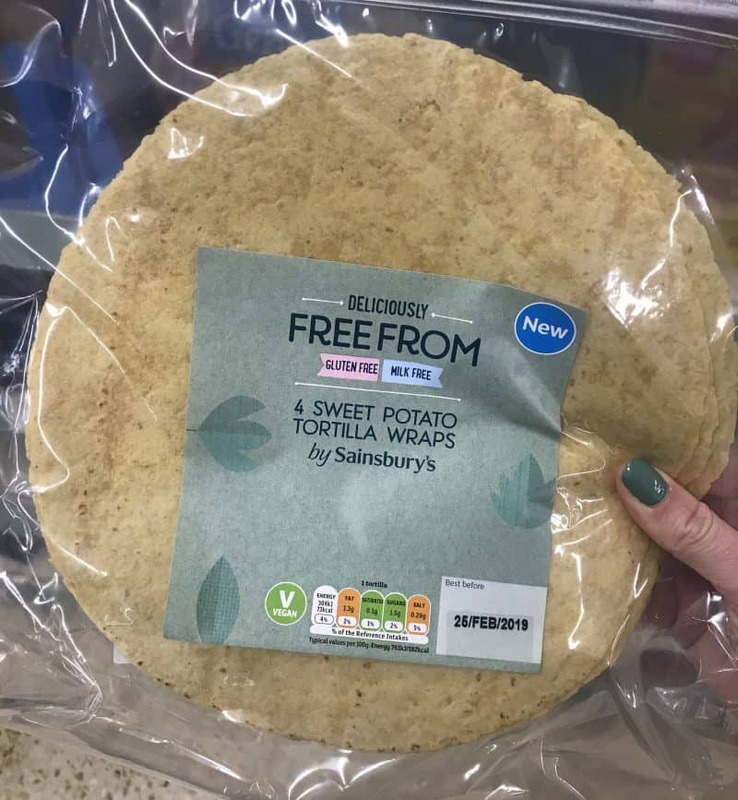 I’ve not had a chance to try these new gluten free tortilla wraps from Sainsbury’s but they sound pretty nice! I found them new in the free from aisle this week, and they also have a plain gluten free tortilla too. Perfect for lunches or Mexican night! 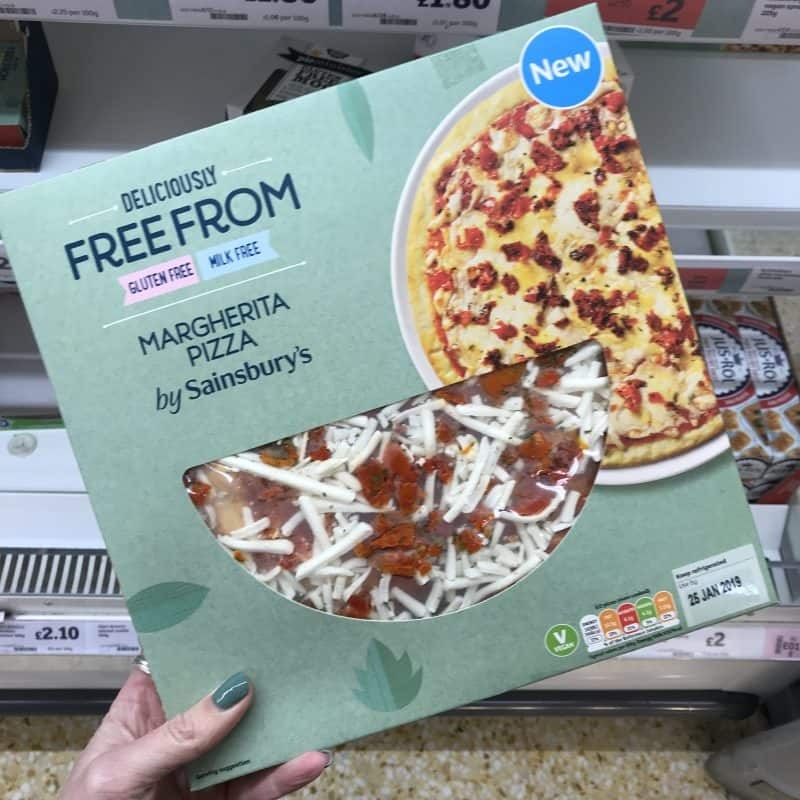 Ok, confession, I found this pizza a little while ago, but I wanted to share it for all the people saying they’re fed up of ‘boring’ pizzas! 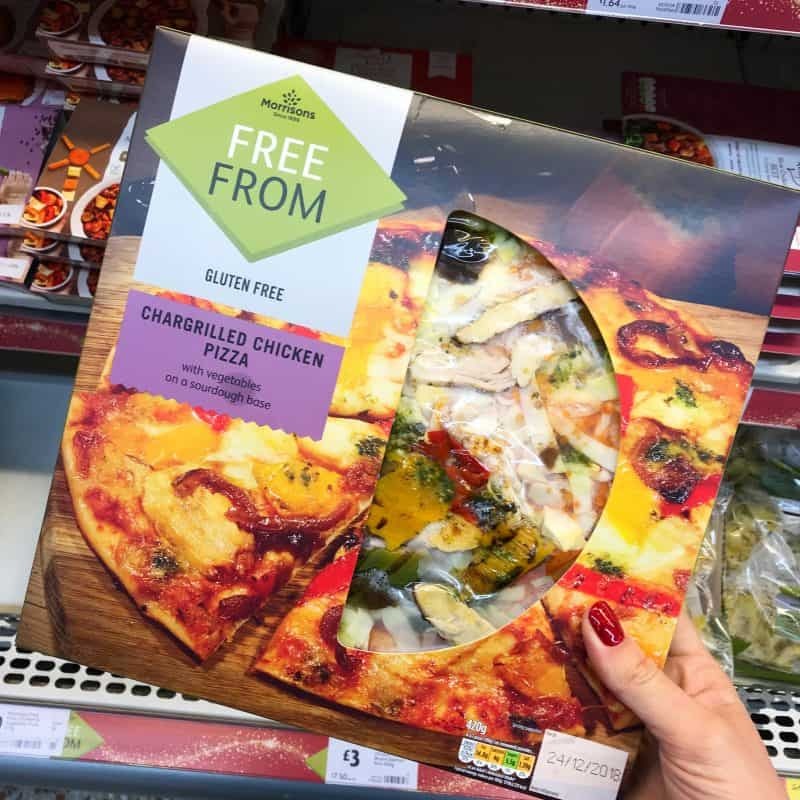 This gluten free chargrilled chicken pizza from Morrisons sounds delicious and I can’t wait to give it a go soon. 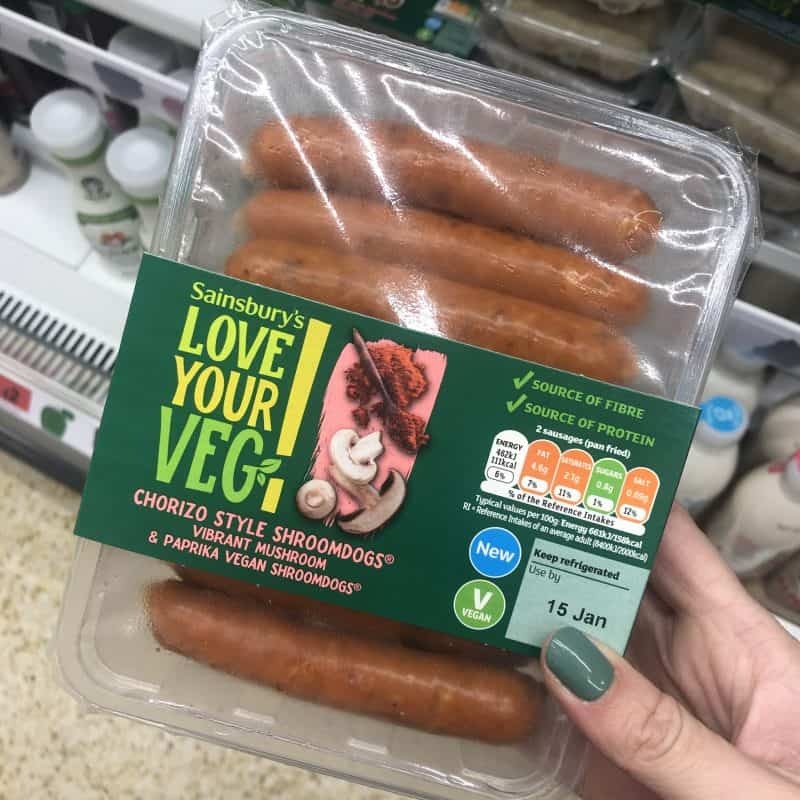 If you’re vegetarian or vegan and miss chorizo, you need these in your life! These shroomdogs are gluten free and they taste amazing! Not exactly like the real deal, but pretty damn close. We had them in pasta bake and they were lovely! I picked these up from Aldi this week and they are amazing! 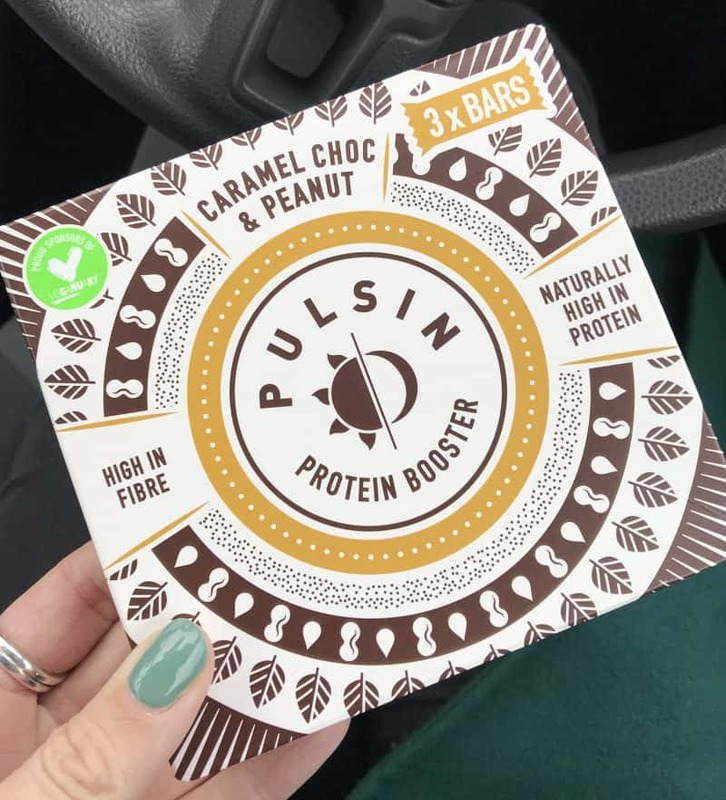 A delicious snack and nice to have a bit of a protein boost. They had a few flavours but the caramel sold me and I’m so glad. Will be heading back to pick these up again for sure! 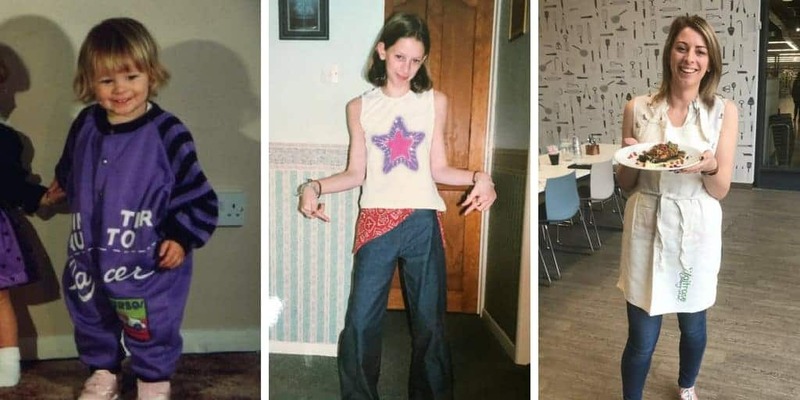 One for the people who weren’t so keen on the pizza in last week’s post! This gluten and dairy free margherita pizza offers a plain option for those who don’t want all the jazzy toppings. Previous Post My gluten free Ikea meatballs recipe – like the real thing, but better! Good evening, hope what remains of the weekend is good. Did a little happy dance in supermarket. Found some frozen sweet potato waffles…think they are Birds eye(they are in freezer and at present I have sleeping kitten on my lap…so cant check..sorry…). 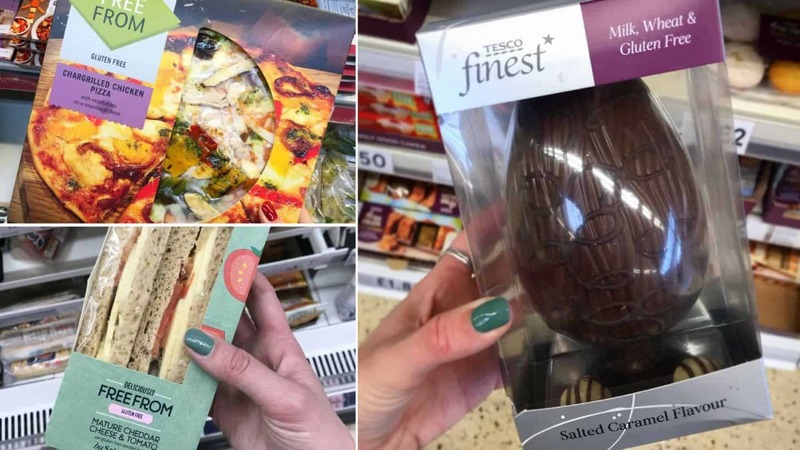 Not done the taste test yet…. Now I am thinking…could a sweetened slightly version be produced for a dessert situation with some healthy fruit?? Those Sainsburys wraps look interesting. Hope they’re less cardboardy than some of the others. The John West Light lunch packs are good stashed away for an emergency meal. They’re not amazing but not bad for a long life canned product. They also do a gluten free Mild Curry version with rice in although that one seems harder to find. Usually not to hard to find the Mexican one with the other, gluten filled ones even in smaller supermarkets.